Shop for a new or pre-owned Chevy, Buick, Jeep or other vehicle with confidence when you visit the Diepholz Auto Group. The experts at our Buick, GMC, Cadillac and Chevy dealership in Charleston, IL, are dedicated to making the car-buying process as simple as possible. That's why we have five core values that we stick to that make buying or leasing a new or used vehicle as simple and stress-free as possible. 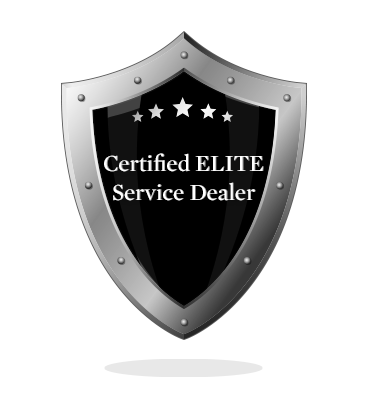 We're one of 300 dealers in the nation to earn the prestigious "Certified ELITE Service" status, and to be in the top 10% in the nation for customer care. You can bring your car, truck, SUV or minivan to our Buick and Cadillac service center knowing that it will be in great hands. Our analysts monitor the true market price of the different vehicles on our lot and adjust the price accordingly, so you don't need to spend hours looking for a better offer. Browse our selection of new Jeep and used Ram models online, then schedule a test-drive at a Diepholz dealer. We vow to always provide our best price upfront, guaranteed. We do this so you can spend more time getting to know the vehicle you'd like to buy or lease and less time on the negotiating process. Stop by our dealer to shop our competitively-priced inventory of new and pre-owned models. We help you buy or lease a new Chevy or Cadillac with no gimmicks and no hassle. We make buying a new or used car so simple that you can be in and out of the dealership and on the road in 60 minutes or less with our streamlined car-buying process. No one likes being pressured to buy a car, which is why we won't pressure you. When you visit Diepholz Auto you can take your time browsing our inventory and test-driving different models. Our sales experts will answer any questions you have, and we'll help you finalize your financing rate once you've decided which car you'd like to take home. Diepholz Auto has been family-owned and -operated for over 30 years, and we've consistently been a Mark of Excellence Dealer winner for the past 10 years. Visit a Diepholz dealership today to experience the kind of car-buying and -servicing experience you deserve. For those who crave premium selection, head to our Buick, GMC, Cadillac and Chevrolet dealership in Charleston, IL, today! Here at Diepholz Auto Group, we go all out to provide you with a one-of-a-kind experience every time you step foot on our lot. From our friendly sales staff to our expert finance specialists and service technicians who are second-to-none, our award-winning dealership is the real deal. The customer is our No. 1 priority, and as a testament to this, we've been honored with the GM Mark of Excellence Award 10 times. By developing relationships with new and longtime customers alike, we hope to continue to build upon our success! Why Buy From Diepholz Auto? If you're in the market for a new Chevy, Buick, Cadillac or GMC sedan, truck or SUV, understand that we have an expansive selection waiting for you. Upgrade your daily drives and make easy work out of weekend tasks when you buy or lease a powerful new Chevrolet Silverado truck or a brand-new GMC Sierra. Looking for a luxurious sedan with a comfortable interior? Then check out the luxurious Buick LaCrosse or Cadillac CT6 sedans. If you're searching for a vehicle that's versatile and family friendly, test-drive a new Chevy Equinox or GMC Acadia SUV. Those working on a budget will be more than happy to know that we have plenty used models in our inventory, as well as Certified Pre-Owned models if you want an added sense of insurance. Once you leave our lot, you can rest assured that our top-of-the-line service and parts departments will help keep your car running for years to come. Whatever you're in need of, our no-pressure dealership has all the answers. Stop by today to speak with the team at Diepholz Auto Group! •	At Diepholz Auto Group, we want to make everything easy for you. That's why we offer a variety of amenities including a loaner car for any service over three hours, a free shuttle service within a 10-mile radius and free vehicle delivery to your home or office! •	As a 10-time GM Mark of Excellence award-winner, we're here to provide you with the best experience imaginable. To be recognized for this award, we had to earn the highest marks in sales and customer satisfaction. •	Our business hours are 8:30 a.m. to 6:00 p.m. Monday through Friday. Don't have time during your busy week? Don't fret, as we're open on Saturdays from 8:30 a.m. to 4:00 p.m. Feel free to contact Diepholz Auto Group with any questions! •	Whether you're making the short trip from Charleston, or you're travelling far distances, we're happy to service drivers from everywhere. Get directions to Diepholz Auto Group here.